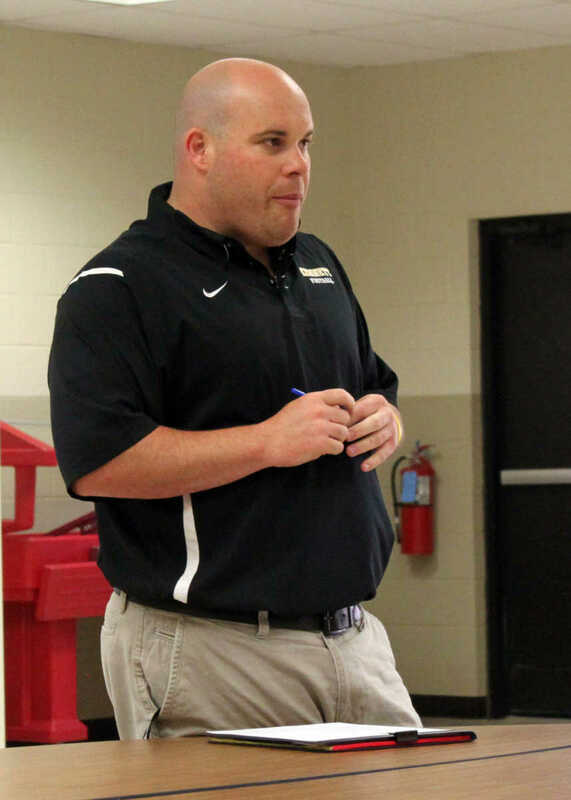 Staff Photo by Dustin Ward Kennett football coach Corey Adkisson speaks at the freshmen football cookout. 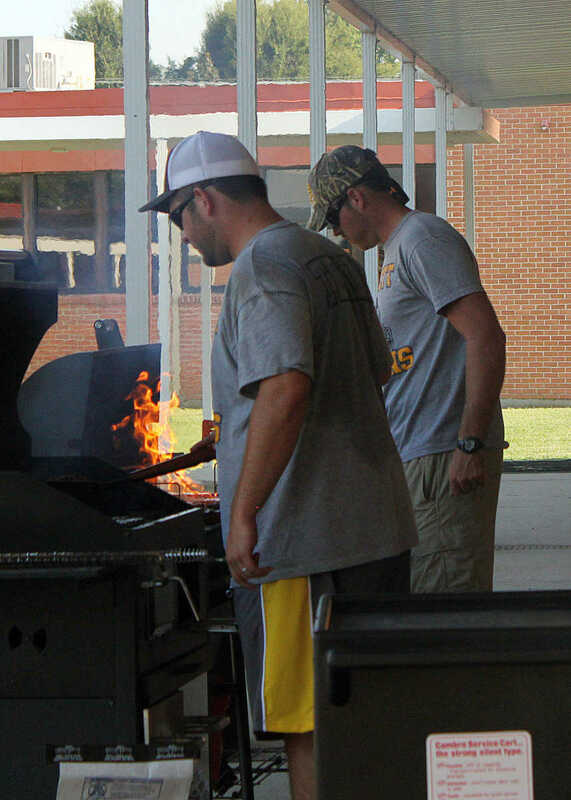 Staff Photo by Dustin Ward Kennett's coaches cook at the freshmen cookout. 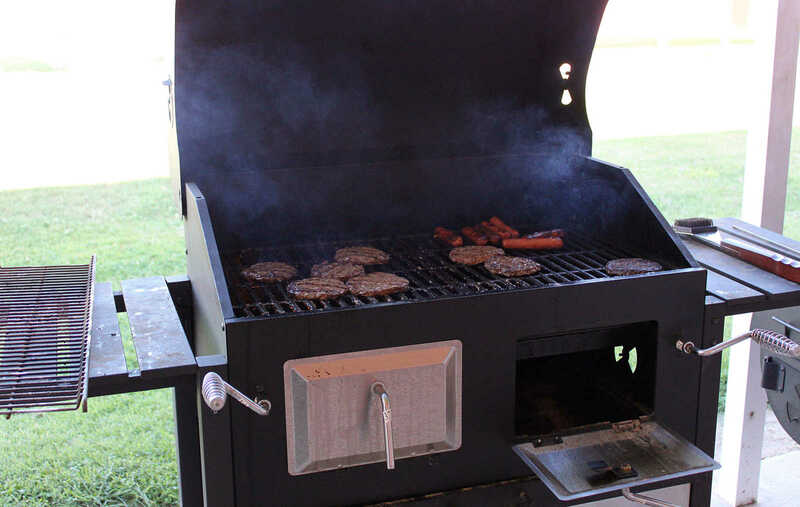 Staff Photo by Dustin Ward Hamburgers and hotdogs on the BBQ grill at the Kennett freshmen football cookout. Staff Photo by Dustin Ward Kennett students at the freshmen football cookout. 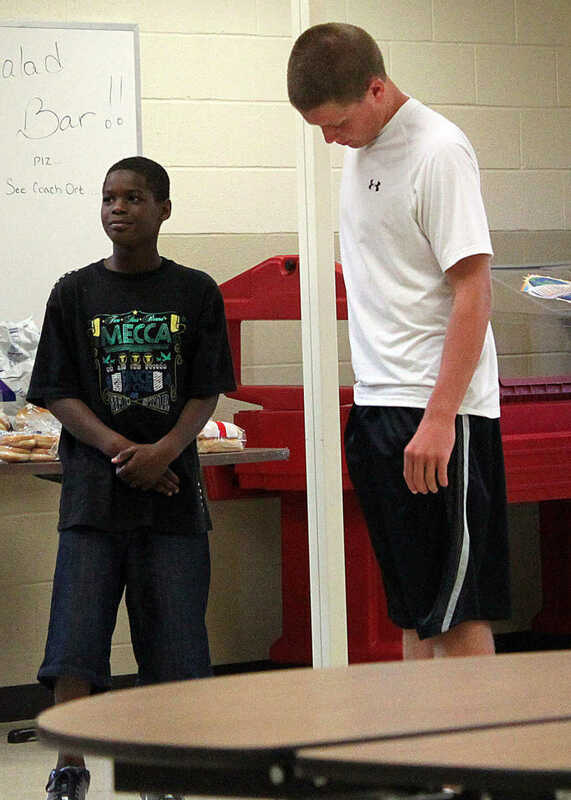 Staff Photo by Dustin Ward Kennett's freshmen football players in line to eat. Staff Photo by Dustin Ward Kennett freshmen at the Kennett football cookout.